Girl Scout cookie sales start tomorrow in Bryan/College Station. 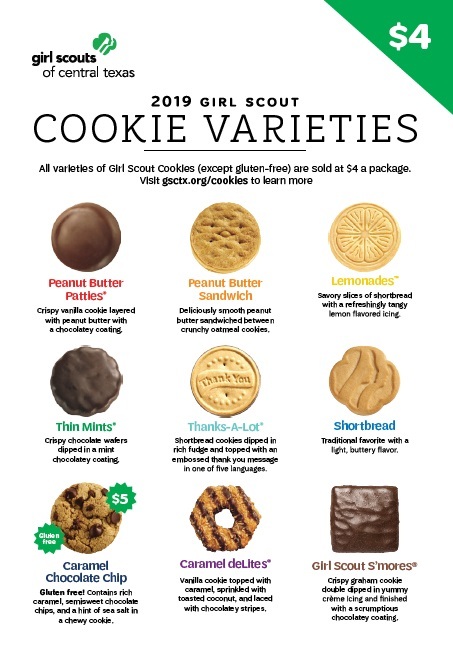 They are still $4 per box for Thin Mints, Caramel Delights, Peanut Butter Patties, Peanut Butter Sandwich, Shortbread, Lemonades, Thanks a Lots, and Smores but $5 for the gluten-free Caramel Chocolate Chip. Please support your local girls while they learn the 5 skills of the cookie sale. Feel free to ask any girl selling about her goals and what she's learning from the sale. We will be selling in front of many stores and restaurants starting on Saturday and the sale will end on Feb. 24. Look for cookies at any area Subway, Walmart, HEB, Blake's Steaks, Joanne's, Altitude, Urban Air, Kid to Kid, Lowes Bryan, the Rise @ Northgate, Park West, The Cottages, Cici's Pizza, and Walgreens. Most booths are on the weekends but there will be some at various locations during the week this year. 1. Goal Setting as she sets cookie sales goals individually and with her team, creates a plan to reach them, and develops Cooperation and Team Building skills all along the way. 2. Decision-Making as she helps decide how her team will spend their cookie money, furthering her Critical Thinking and Problem Solving Skills that will help her throughout life. 3. Money Management as she takes cookie orders, handles customer's money and gains valuable and Practical Life Skills around financial literacy. 4. People Skills as she learns how to talk to, listen to and work with all kinds of people while selling cookies. These experiences help her develop Healthy Relationship and Conflict Resolution skills she can use throughout her life. 5. Business Ethics as she is honest and responsible at every step of the cookie sale. Her business ethics here reinforce the Positive Values she is developing as a Girl Scout. ok.. seriously... i need cookies... let me know where you're gonna be.. There should be girls in all locations starting at 10 a.m. Saturday. yeah, bu when are you and your kids gonna be somewhere? Shame they switched to ABC Bakers several years back. Send me an email. Girl Scouts won't let me post that level of detail on here. 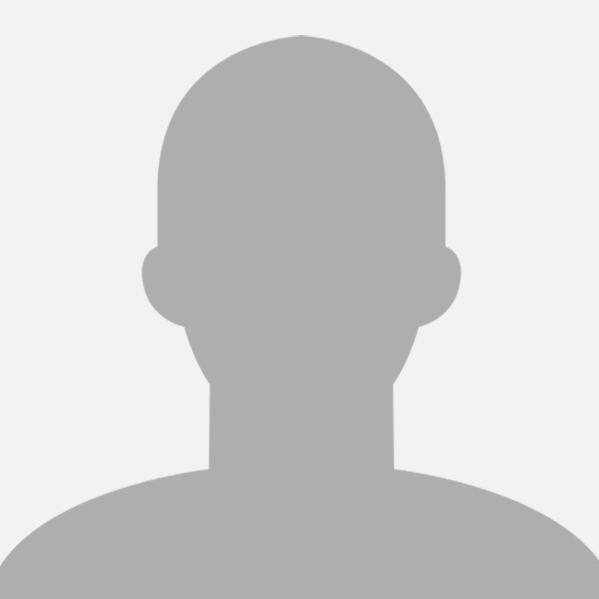 If you want to know specifically when and were to find a Girl Scout cookie booth this season, here's a link to the cookie finder web page. Just put in your zip code and it will tell you where girls will be. I think you can still get Little Brownie cookies up in Dallas. We had way more complaints about not having Lemonades and Thanks a lots than we've had about switching back. The weather wasn't the greatest this weekend but it never is. We've sold in the ice and snow if the girls want to do it. It's totally up to the girls. Some girls will have them at booths. That's where our troop has them. Just an FYI but Girl Scouts will not be at Walmart on Super Bowl Weekend. Please look for your Super Bowl cookies at HEB, Walgreens, and the other cookie locations listed in the original post. Thanks! San Antonio area also has Little Brownie cookies. Kroger? Do you know if anyone will be set up there this week or next? Kroger doesn't allow us to set up most weekends. Girls will be at the Boonville Kroger on the weekends of Feb. 8-10 and Feb. 15-17 only. We will be at the CVS in front of Kroger on Rock Prairie this Sunday. We just set that up yesterday. Girls will be at all Walmarts and both Krogers starting back up again on Friday. And of course at all of the other spots, too! Get your Valentine a box of Girl Scout cookies!